HONOLULU – Gov. 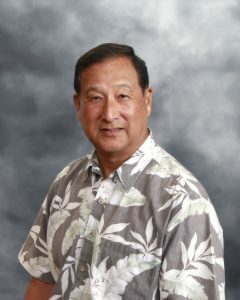 David Ige appointed Edmund (Fred) Hyun to be the interim chair of the Hawai‘i Paroling Authority. The five-person authority is an independent quasi-judicial body, which, for administrative purposes only, is attached to the Department of Public Safety (DPS). Hyun was born and raised on the island of O‘ahu where he attended the University Lab Schools. He graduated from the University of Hawai‘i at Mānoa with a degree in psychology. He later earned a master’s degree in social work. After completing his undergraduate requirements, Hyun enlisted in the Hawai‘i Air National Guard and deployed to parts of the Far East, Pacific and U.S. Mainland until his retirement in 1993. Hyun was also employed by the Hawai‘i Youth Correctional Facility and started the first halfway house for committed wards. He served in a variety of positions at the O‘ahu Community Correctional Center from 1980 until his retirement from DPS in 2003. He then worked at Akal Security (Pacific Region) for four years. In 2009, Fred was hired by the Honolulu Liquor Commission as the contract administrative services officer and later as special projects coordinator. Currently, Fred sits on the Holomua Pu‘uhonua Committee as well as the Corrections Population Management Commission. “Fred’s extensive knowledge and years of experience in criminal justice and public safety provide a solid foundation for his leadership of the Hawai‘i Paroling Authority, as it makes decisions about the timing and conditions of release for offenders, and their post-release supervision. The board is tasked with helping people gradually reenter their communities as law abiding citizens. I know Fred will continue efforts to reduce recidivism while promoting public safety for all of Hawaii’s citizens,” said Gov. Ige. Hyun replaces Bert Matsuoka. Hyun began his four-year term on August 1. His appointment is subject to Senate approval.